CasaSur Hotel Collection – a luxury hotel chain in Argentina has endorsed eRevMax for improving online connectivity. All three properties of the group, namely – CasaSur Recoleta, CasaSur Bellini and CasaSur Palermo, have been using the award winning RateTiger Channel Manager to update rates and availabilities across online sales channels for the last three years. 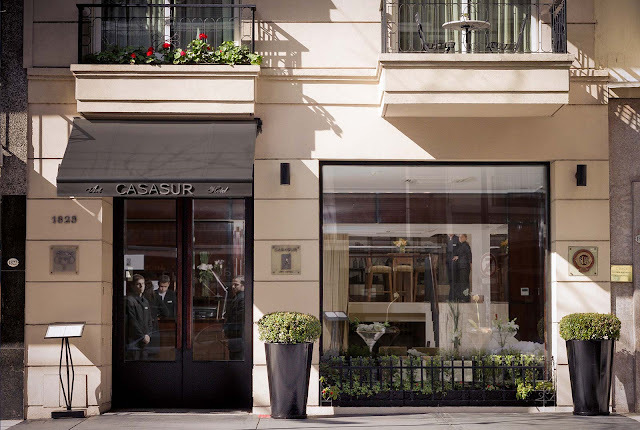 Located in Buenos Aires, CasaSur, with three luxury boutique properties, caters to upscale business and leisure travellers – both international and domestic. The revenue management team is leveraging RateTiger’s real-time connectivity with over 300 online sales channels to connect to the better producing OTAs, resulting in an increase in occupancy and profit. “RateTiger is more than just a channel manager. It’s a powerful tool for the ease of connectivity and making quick updates across all channels. The detailed demand information and scores ensures our selling strategies work more effectively. On top of that, the excellent support from RateTiger team is what makes it the perfect partnership,” said Daiana Casas, Reservations Manager, CasaSur Hotel Collection. “At eRevMax the focus has always been on providing hotel partners stable connection with a bouquet of choices for making the best use of their distribution mix. RateTiger and LIVE OS have been built with a vision to make online sales simpler for hotels, and CasaSur’s recommendation is a testimony to that,” said Julián Lindt, Latin America Sales Director, eRevMax.